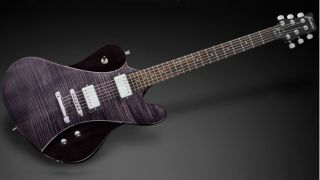 Framus' latest model combines the outline of the original Diablo with the contours of the company's Idolmaker model. Extremely easy to play with a well-balanced tone, the FP14ME is a brand new boutique-style parlor guitar from the Framus Legacy Series. For guitarists who think six or seven strings aren't enough, Framus has introduced its upgrade: the Framus Panthera 8-string guitar. Framus has announced its new Wolf Hoffmann Signature guitar. The model, named for the Accept guitarist, is made in Germany by the Framus Custom Shop and is available now.